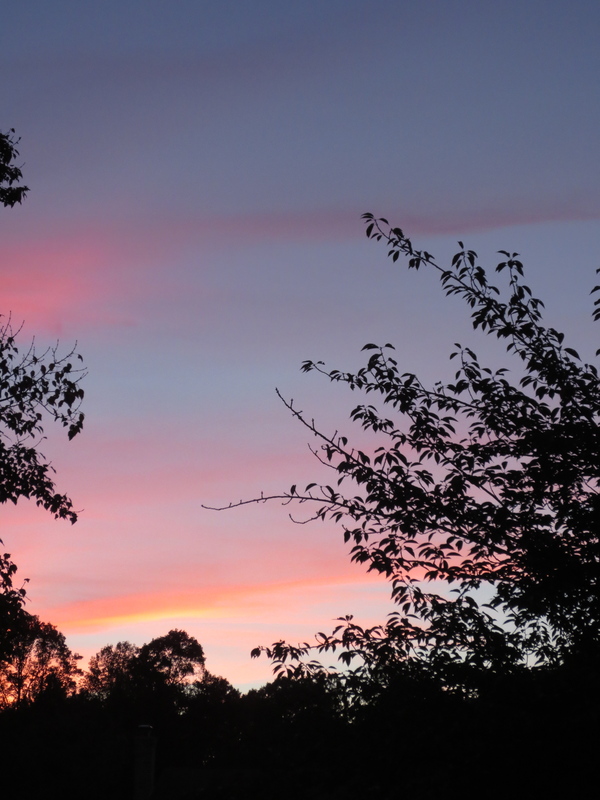 I wanted to share one last fabulous fall sunset with colors of the sky that were a gorgeous pastel for autumn. The sky was alive with a glowing Hunter’s Moon last night and each full moon has a name. According to skylore the Hunter’s Moon is the full moon after the Harvest Moon of September. The colors of the “awesome sunset” I posted on October 8th had beautiful reds, oranges, gold and pinks against the twilight sky. These colors are similar to those you see in a desert or the tropics. But, last night the spectrum of colors presented an alternative wavelength in soft colors along with the role of the clouds. 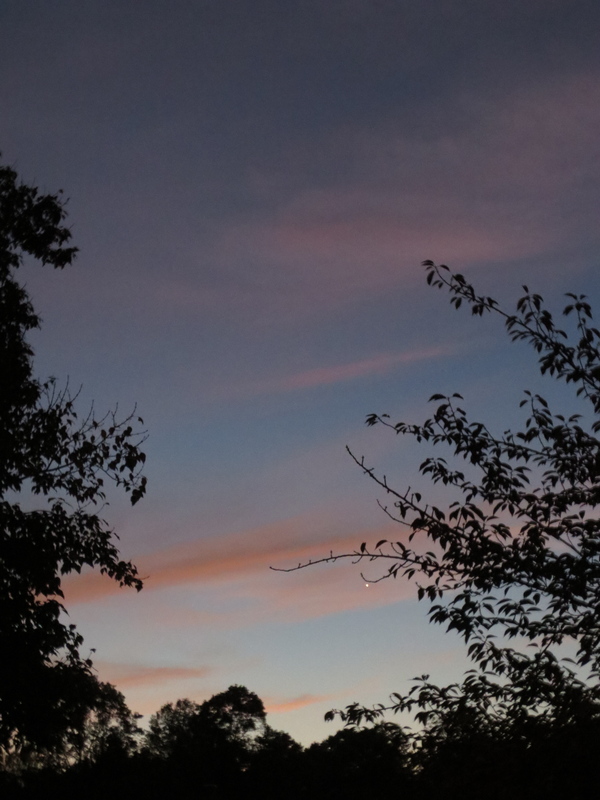 The clouds seem to catch the last few rays of sunlight and produced another vivid sunset in a Rothko-esque fashion. Hello Stylish Heath, what a beautiful Autumn pastel sunset, indeed. Look at the hues in the skyline especially in the first pic. Unbelievable……….I was able to enjoy the Hunter’s Moon the last two nights while walking. It was so bright, I could have left my light at home. I too rely on skylore for many of my questions about astrology. Love your stylish taste………Happy Autumn. I am seeing that Hunters Moon as write your response and it is absolutely gorgeous, and am looking forward to the Orionids tomorrow at dawn!!!! Very breathtaking photos on an apparently beautiful day. We have been experiencing a spate of cool weather in the midwest but I have experienced some great sunsets notwithstanding. Enjoy them while we can right? Continue to embrace the colors of autumn and continue to share your pix. My friends are now sharing photos of their sunsets with me and we are excited to see what each has witnessed while walking or driving. Let’s continue to embrace the colors autumn!!!! Beautiful pictures! I love twilight! It makes me feel so relax! Thank you for sharing, Kathy! I too love the twilight hour, as it seems so magical, and find it a relaxing time of day as well!! Thank you so much, I am truly enjoying the myriad of colors that are displayed across the autumn skies!